Since its foundation, JA Solar has focused on producing high quality premium solar cells in a professional way. Year after year, JA Solar cells become an icon of high quality products in the solar industry worldwide. Worldwide, solar panel makers are willing to queue in line and pay cash to get the fresh JA Solar cells from its solar cell fabs. By the year 2014, JA Solar cells had become the number two crystal cells manufacturer worldwide (source: NPD Solarbuzz 2014). Even after the company changed its ‘only-make-solar-cells’ strategy in 2010 and started to make brand panels, many competitors are still buying JA Solar high efficiency cells today, as they understand the common sense of ’Premium cells, Premium panels’. In 2010, JA Solar foresaw the market (supply and demand) trend and made a strategy change: it started to make its own branded solar panels. Even though they had to start from scratch, JA Solar enjoy a very solid platform and have become a world leading solar cells manufacturer with a lot of experience. In less than four years, the company moved from nobody to somebody in panel-making and became the number five worldwide in 2014, as a solar panel supplier by shipment. 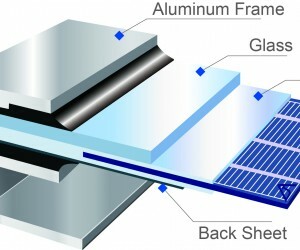 However, there is a downside to their product orientation: as the makers of the best quality solar cells, which are well recognised by professional panel makers, the mentality of the JA Solar leadership began to believe that once premium products (cells and panels) are made, customers will come to their factory hungry for the products. 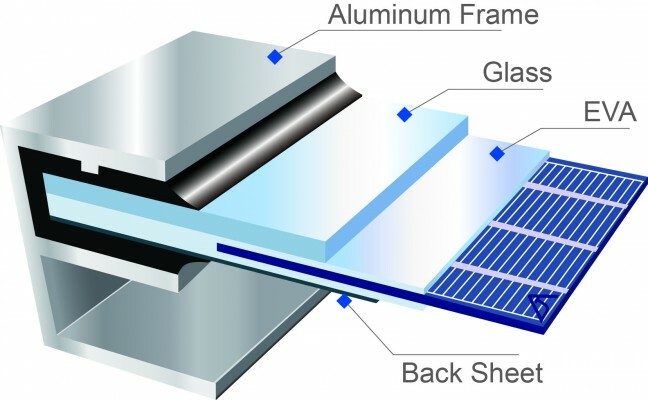 This does make sense in the case of solar cells, because all the buyers are industrial professionals who can differentiate the superior quality cells from inferior ones, at a glimpse. However, in the case of solar panels the buyers are from diverse backgrounds and are not solar industry professionals. It is then that the marketing campaigns and media stories (not JA Solar’s strength) start to influence the buyers’ decision. The value for panel customers then is that even at the same price level, the built-in marketing cost portion (no true value to end users) of JA Solar is much less than its marketing-orientated competitors (who are experts in making stories, instead of making products). Thus the product quality portion (true value to end users) of JA Solar panels is definitely much higher than others. PV Solar is changing everyday and has been a very volatile industry over the last 15 years. Entrepreneurs aggressively become world leading giants in less than 10 years, reaching their peak and then collapsing within a year during the economic downturn. Fortunes made disappear and yesterdays heroes are bankrupt in a second. In this crazy industry, JA Solar is a little bit different. Its conservative personality dictates its sustainable organic growth. In the high seasons, when everybody makes a fortune quickly and expands their capacity aggressively by purchasing from OEM subcontractors, JA Solar gained a considerable margin and expanded at their own pace. However, in low seasons when everyone tends to lose it all, JA Solar bleeds a little bit but keeps on marching at their own pace. Its conservativeness guarantees long-term reliability. Compared to their competitors, who are listed in NASDAQ or NYS, JA Solar enjoys a low debt ratio of 63% (average level 79.2%) and a high current ratio of 130% (average level 94.7%) (Source: Company fillings from US SEC, date 31st Dec 2014). In the Bloomberg New Energy Finance PV Module Bankability 2014 Report: Who to trust, JA Solar is ranked number three, after it’s US and Korea competitors and recognised as an international bankable module supplier by 97% of the banks surveyed. With this solid financial background plus third party re-insurance, JA Solar has the capability to honour their promises to project owners – a true 25 year linear output warrantee. After a long term study and survey in the market, starting from mid 2013, JA Solar has gradually cultivated the market with its high quality panels. Higher yield roof top projects are starting to appear in this sunshine-abundant country of South Africa where the company have developed well established distribution networks. Local warehouses in Johannesburg, Cape Town, Durban and Port Elizabeth provide customers with fast response and excellent service. JA Solar is also actively involved in SA REIPP projects, both by supplying long-lasting quality panels, and by co-developing large scale solar farm projects and setting up local manufacturing plants. Both benefit the social and economic growth of local communities and assist people who are feeling the effects of the current energy crisis. There is a long walk to freedom. A freedom of lights and energy that people in this sunshine country will enjoy at any time anywhere: to light up bulbs so their children’s can read after school, to enriching their lives at night, in living rooms after a whole day of work, to the continuous running of factories machines to boost a better economy. Together, with the people in South Africa, a humble and prudent JA Solar will slowly but steadily walk towards that freedom!